Ready to show off your brand? Make your brand pop. Our collection of banners and signs gives you options. Made with all occasions in mind, we have products ranging in size, type, and price, fit for whatever your needs may be. Our stickers can go just about anywhere. They are a great promotional giveaway to get your brand or event noticed. Our vinyl material makes these great for both indoor and outdoor use. Banners draw attention both indoors and out. Our premium material will withstand both environments and are both waterproof and UV safe. Our canopy tents are an excellent way to show off your brand during indoor and outdoor events. These canopies are a standard 10x10 size. Effective and affordable site signs are a great advertising tool. Increase your awareness and get your message in front of thousands of people with ease. 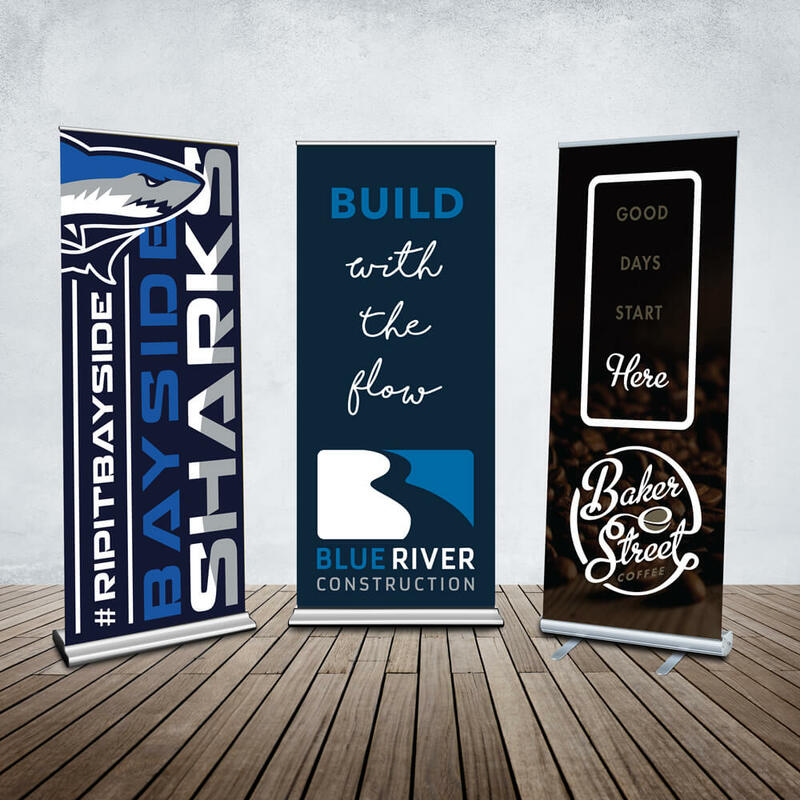 Push your brand’s exposure with one of our custom, lightweight flags. These indoor and outdoor safe flags come in a variety of sizes and shapes. Complete your presentation with a simple and cost-effective table cover. This table cover is made from a polyester table fabric that drapes over your display table. Whether you know exactly what you want or have a problem that needs a solution, we can put together a creative package that will bring your vision to life. Our design team can help you achieve maximum impact for your sign and banner projects. No matter the distance or angle, your products will be clear and professional. With hundreds of materials and thousands of colors to choose from, we will always use top quality and appropriate materials so your project achieves a quality look. Your project is now complete and ready to hang up, stand up, or install. Our team will guide you with proper care and installation instructions.